The International Kabaddi Federation (IKF) has announced that the 2016 World Cup will be held in Ahmedabad, Gujarat. The tournament is set to take place from October 7 to October 22. 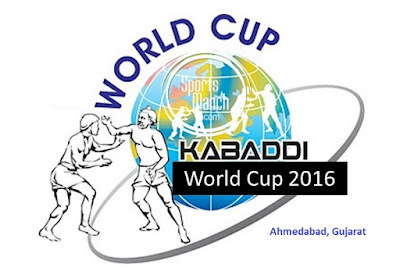 Gujarat will play host to 12 teams from around the world including India, USA, Canada, UK, Australia, Iran, Poland, Pakistan, Bangladesh, Korea, Japan and Kenya. A special consideration of the IKF in inviting these countries is to make the 2016 Kabaddi World Cup representative of all the five geographies of the Olympic Games.